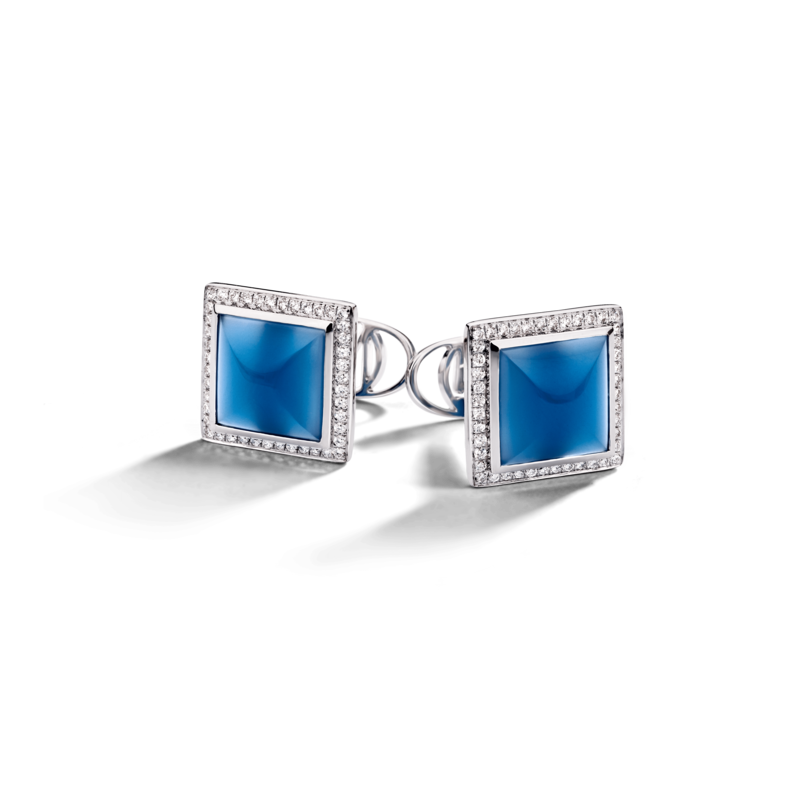 Mediterranean Dream captures the essence of blue lagoons, pristine beaches and exotic exploration. Get an instant holiday feeling, right up your sleeve. 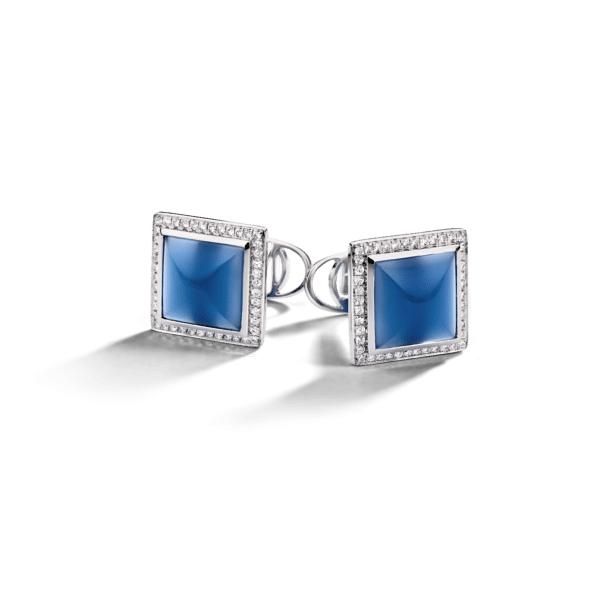 One 18K white gold pair of cufflinks, containing 88 (eighty eight) diamonds and 2 (two) chalcedony.